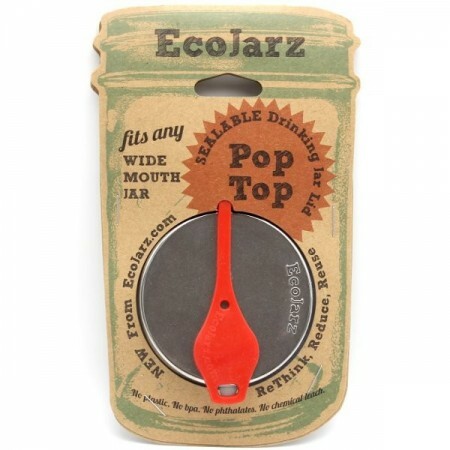 Expand the use of your wide-mouth jars with this poptop lid insert. Designed to be used for drinking water, juice and smoothies, etc. 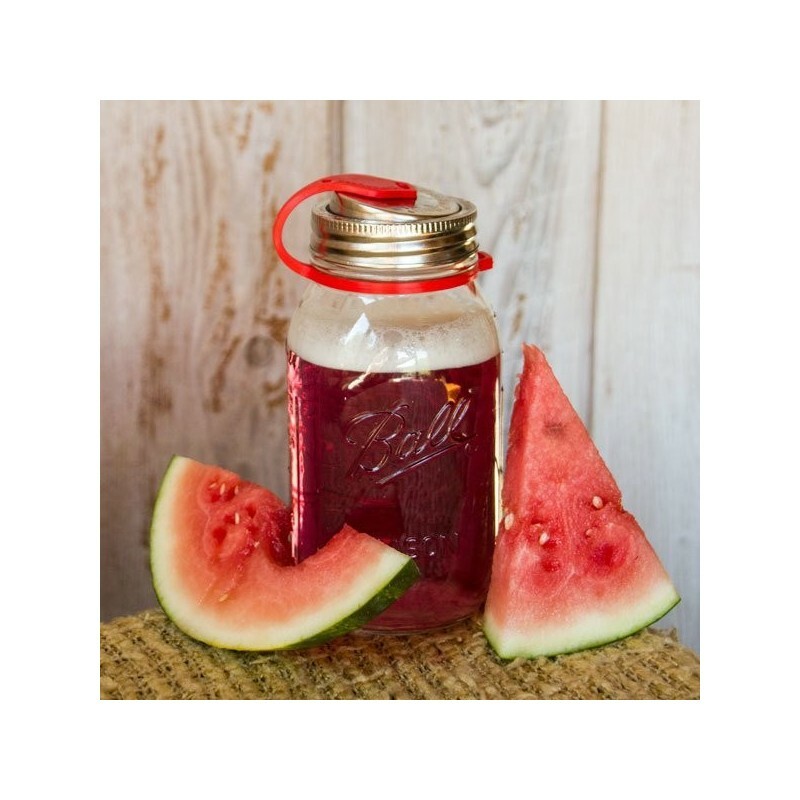 straight from the jar or storing bulk foods suitable for pouring. 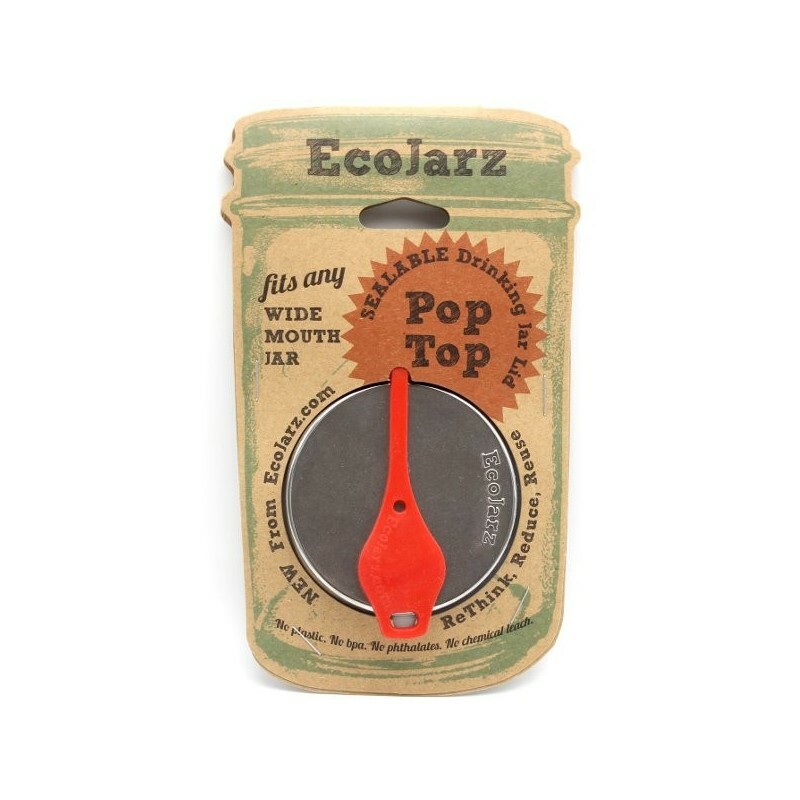 This spill-proof insert will keep contents fresh and safe. Extra large opening for easy flow of wet or dry ingredients. Use with an original canning band (not included). Coral silicone plug and band. Ideal for bulk food storage. Single piece stainless steel lid insert to be paired with traditional canning band. Coral red plug and band. Add a stainless steel straw for the ultimate smoothie kit. Store straw in the stretchy loop of the band when you're on the go.